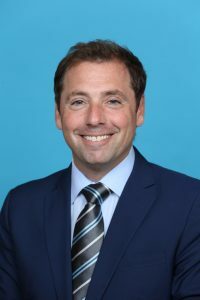 In June 2017, Barry Baum became the head of communications and broadcast for the Milwaukee Bucks, with strategic media oversight of the team and its brand, the company’s business ventures and the new arena, scheduled to open in the fall of 2018. Baum has more than 15 years of communications experience. Prior to joining the Bucks, he was chief communications officer for Brooklyn Sports & Entertainment, where he created and implemented the global communications strategy for the opening of Barclays Center and the Brooklyn Nets’ new brand identity in Brooklyn. Subsequently, he oversaw the day-to-day public relations effort for the company, including the venue’s programming franchises, the Nets, the New York Islanders’ business operations and all business initiatives. Before joining Brooklyn Sports & Entertainment and the Nets in 2005, Baum served as a publicist for more than three years with DKC, a national public relations firm, and was a sportswriter from 1994-2001 at the New York Post. Baum is a proud graduate of the University of Wisconsin-Madison, earning a degree in Journalism, where he was a sportswriter for The Daily Cardinal. Baum served as a ball boy for the New York Knicks from 1984-87.